Recent developments in the land on Google mean that when someone searches for a term on the Google SERP, Google now favors fresh content when searching for the listings that it is going to show. Therefore, the more content that you upload to your site on a regular basis, the better, as fresh content is going to be favored over old content under the new criteria for Google search results. How does this affect online reputation management? If your business receives bad press for some reason (whether or not that bad press is justified), it is likely that the fresh negative content on your business will appear on the first page of Google because of the fact that it is “fresh” content and Google is laying more weight on “fresh” content at present. 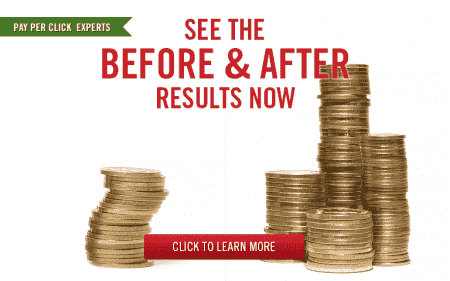 How can you use pay per click advertising to improve online reputation management? Create some pay per click advertisements that actually lead people to new, “fresh” landing pages, that also counteract the bad press in some way. You may even think about how you can incorporate the keywords that people are using to find out about this negative information concerning your firm into your campaigns and your advertisements if they help to get people to click, learn that the negative information about your company is not true and then convert as a result. How can you use SEO to improve online reputation management? Even though lots of “fresh” negative content has more chance of getting listed on the first page of the Google SERP, your counteractive “fresh” positive content has just as equal a chance of getting listed. Therefore, in terms of online reputation management, if you are aware that they might be some reason why some people might be posting fresh negative content about your business and you are concerned that Google might be listing this on the first page of search results, start writing counteractive positive material or neutral material about the subject so that your “fresh” content is picked up by Google as well. How can you get help for online reputation management? If all of the above seems to be a little complicated or a little scary in any way, contact the online reputation management specialists at Webrageous today and let us help you strengthen your pay per click advertising and your SEO to combat negative content about your company on the Internet without further delay. We have a team of experienced SEO writers and pay per click managers on hand to help you fight the power of “fresh” negative content from all angles. Online reputation management has never been easier than with Webrageous battling away in your corner. We hope to be hearing from you very soon.